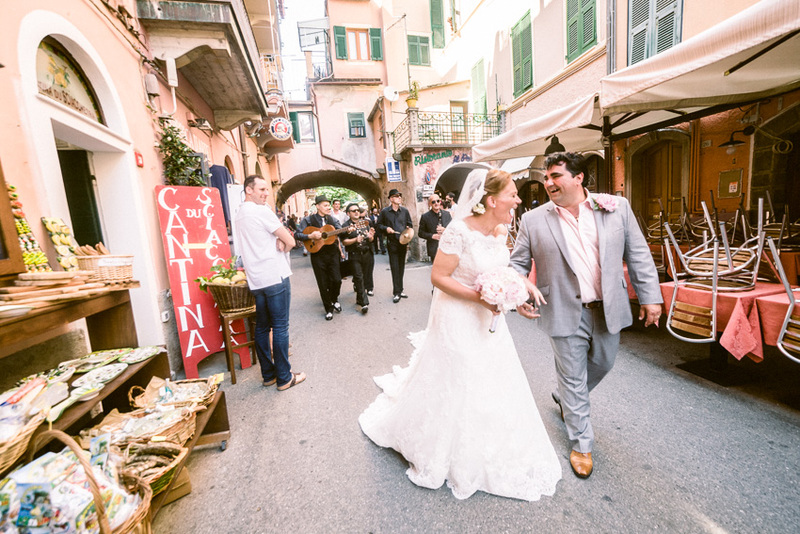 One of the most frequently asked questions by our couples who are planning a destination wedding is when is the best time for a wedding in Italy, Cinque Terre? 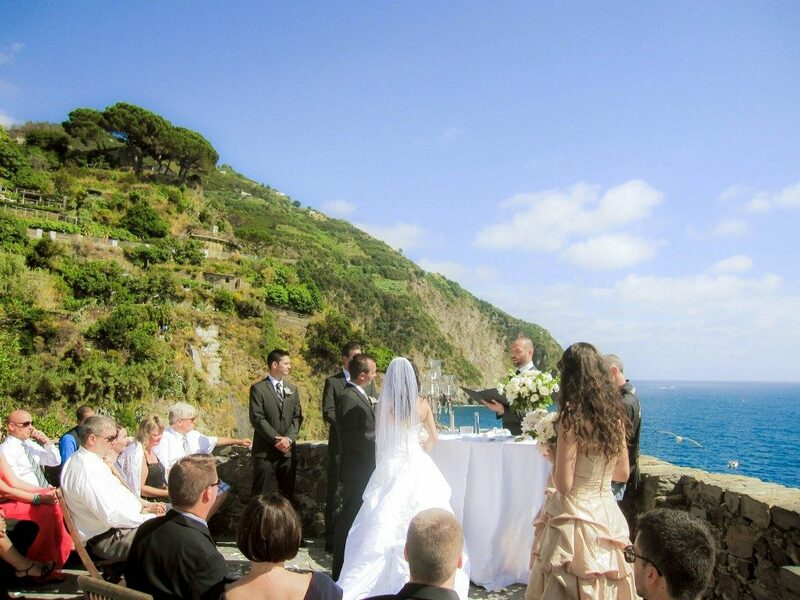 There are two key components to weddings and holidays in the Cinque Terre: the open season and the weather. 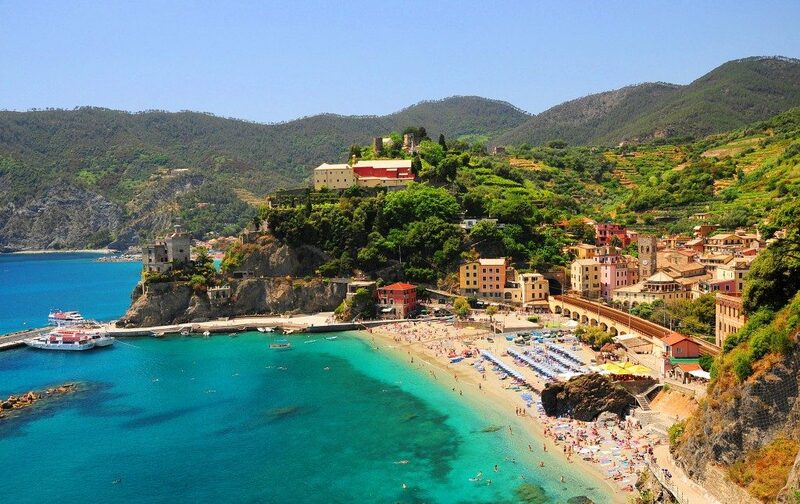 The Cinque Terre is a seasonal location where you will find the best of the Cinque Terre open between May and September. This is when the beaches, hiking trails, boating, diving, restaurants, shops and vineyards can all be enjoyed by couples and their guests during their holiday here. 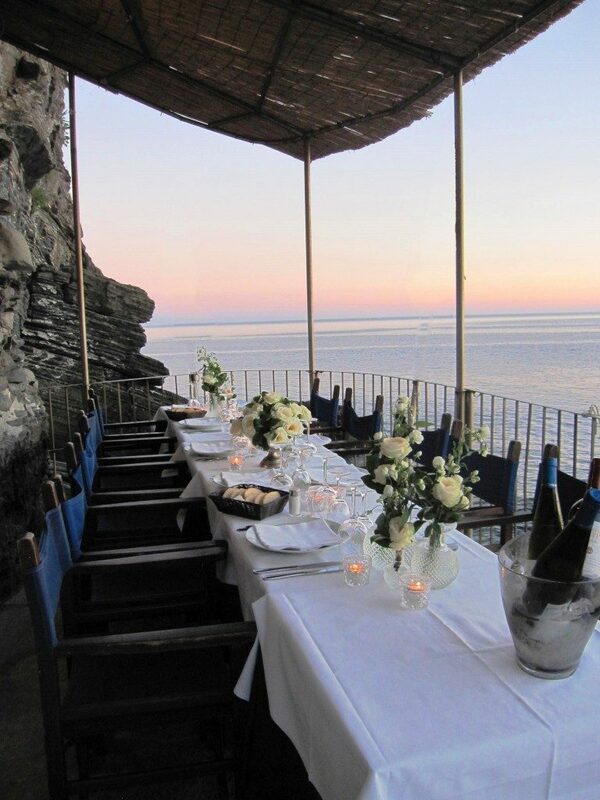 Most importantly, this is also when all the wedding reception venues in the Cinque Terre are open. And the off-season means just that for locals who work 24/7, seven days a week, during the open season. So during the off-season many locals take time off holidaying away from the Cinque Terre, and taking a lot of the spirit of the old world village life with them. The Cinque Terre is not the same without the colourful locals playing cards in the piazza, boasting about their daily catch as they dock their boats into the port in the afternoon or screaming out their dishes from kitchens where local chefs continue to cook their family recipes from generations ago. Most importantly many of these locals will also make up the team who will deliver your wedding: the baker who will create your wedding cake, the fisherman who will drive your boat and with any luck catch your dinner (though it’s bad luck to wish a fisherman good luck here – so we will be sure not to do so when it’s time for your wedding) and of course the chefs who will cook your all important wedding dinner – your first dinner as husband and wife! The Cinque Terre is also a beautiful place to holiday during the off-season, especially for those looking for somewhere quiet and remote, though with all essential wedding services closed and wedding suppliers away during this period, the off-season is definitely a time to avoid when planning a wedding in the Cinque Terre. 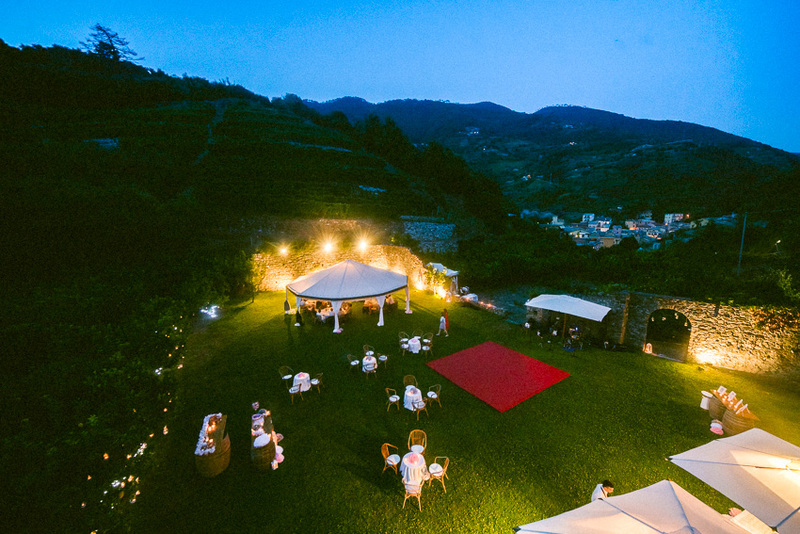 All Cinque Terre Wedding venues offer outdoor ceremony and reception areas where couples can enjoy the most breathtaking part of the Cinque Terre – its natural outdoor beauty. 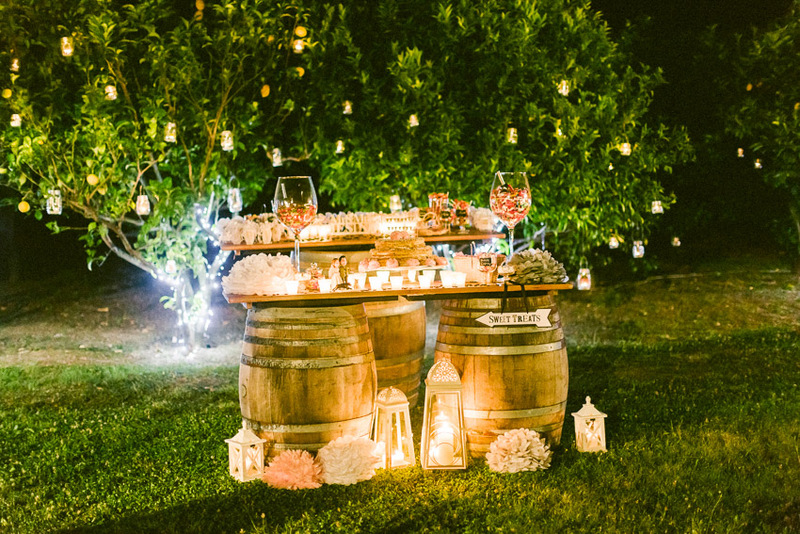 If you dream of having a ceremony outdoors in front of the sparkling Mediterranean Sea or in a rustic Italian vineyard surrounded by wild flowers, vines, wishing wells and crumbling walls, good weather is key. Or if the destination wedding you have envisaged involves walking through the medieval fishing villages of the Cinque Terre “Mamma Mia” style, catching a traditional gozzo boat and enjoying wine and music out at sea or taking part in the old lover’s tradition of locking your engraved love lock to the Via Dell Amore, good weather is key. 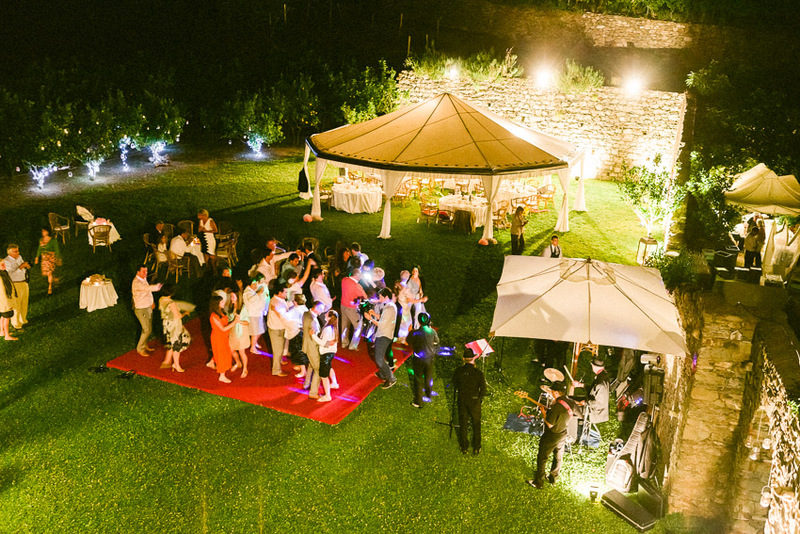 Or if you can see you and your family and friends enjoying your reception dinner watching the sun set and dancing under the stars and moon as they sparkle upon the Mediterranean Sea, good weather is key. While in Italy there is an expression “Sposa bagnata; sposa fortunata”, meaning “Wet bride: lucky bride” (and yes, according to the locals it’s true: a little drop of rain can bring the bride luck) a lot of rain and bad weather instead can mean couples miss out on the most beautiful part of the Cinque Terre on their special day. 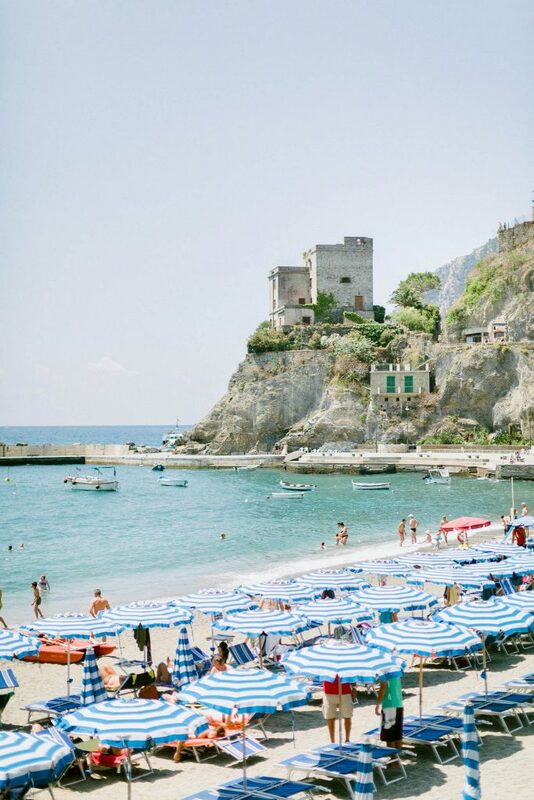 From an activities perspective, for couples and their guests, a lot of rain and bad weather can also mean some of the best activities in the Cinque Terre are cancelled including things like the Via Dell Amore, walking trails, beaches, boat trips and diving. 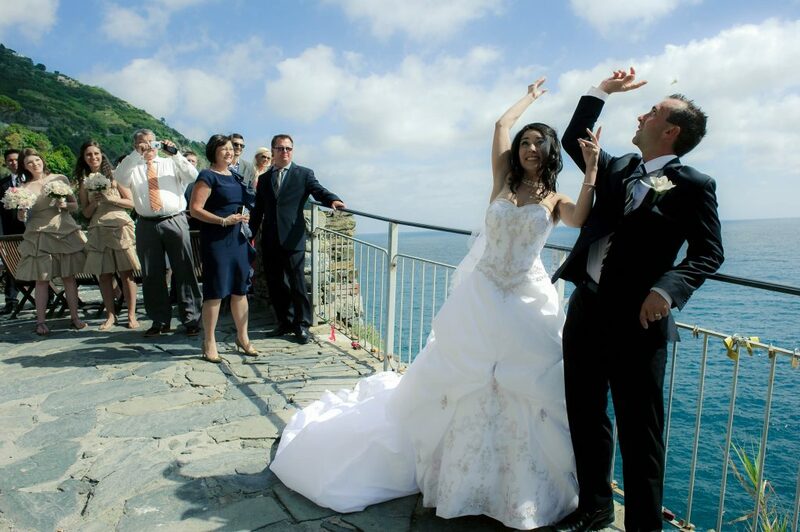 So from our experience over the past ten years working here in the Cinque Terre, the best time of year for a wedding in Italy, Cinque Terre is from May to September. 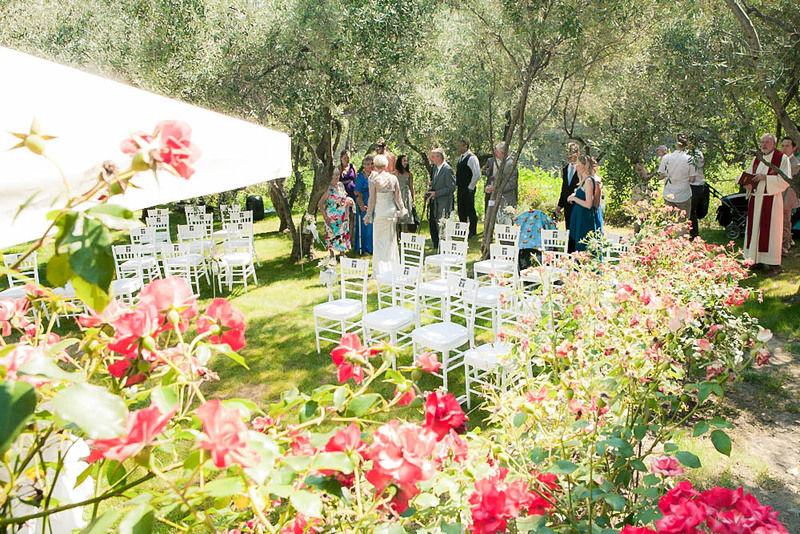 This is when all wedding venues are open, local wedding suppliers are here, the weather is at its best and the chance of a lot of rain is at its lowest. 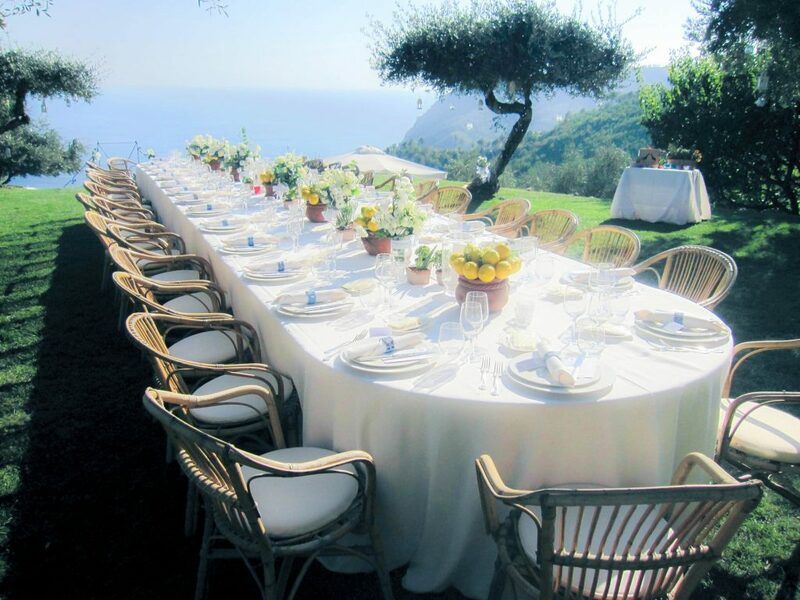 To speak to a Cinque Terre Wedding Planner about the best time for your wedding in the Cinque Terre contact us.